Dev Tools unlocks the power to understand how page performance—speed and reliability—affects your customer experience. Search for sessions where the Page Load time took longer than expected or open Dev Tools for any customer's session to see exactly what the Network requests looked like in their browser for any page that loaded during their session. Which pages load the most slowly for my customers? Do people convert at a better rate when my page loads faster? Was the page slow for everyone or just this one person? Which image, file, or script was causing my site to load slowly for my customer? How many of my customers encountered slowness on this page? Page speed metrics allow you to see page timing milestones for every page that loads during any session. Together, these page speed metrics can help you understand whether a page was rendering or loading slowly for any individual user. And, because page speed metrics are available as search criteria for OmniSearch and Segments, you can layer these timings onto any of your funnels or Segments to learn more about performance in the context of specific pages or groups of sessions. Learn more about page speed metrics. The Network view in FullStory allows you to see line-by-line network requests as they happened in the browser to load a page. Learn more about using the Network view. 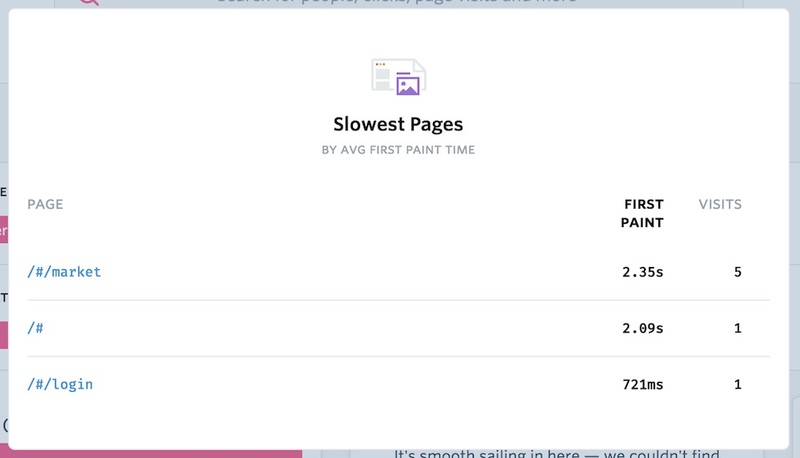 The Slowest Pages report shows you the slowest pages related to any search or segment, by First Meaningful Paint. 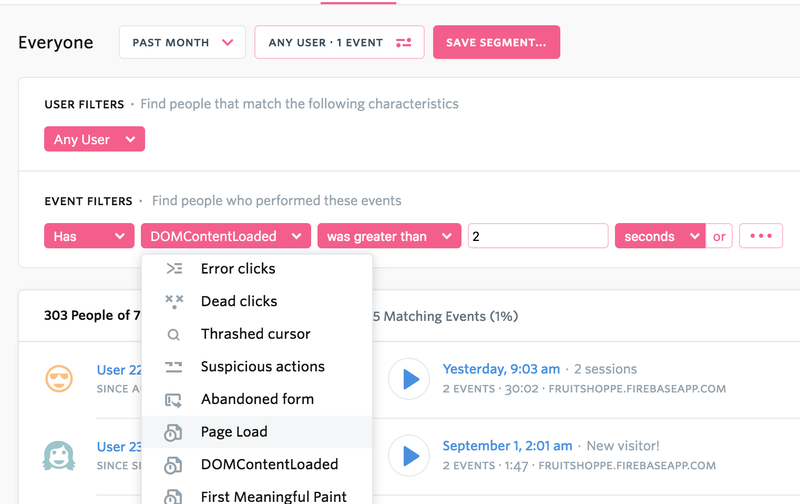 You can find Slowest Pages for any search or segment, and this report gives you excellent signal to understand where to improve your performance and also where you might want to search to find slow sessions. Note: You may notice that the Slowest Pages report doesn't show the full URL for each page, but rather displays part of the path as the page's name in the Page column. This is because FullStory groups together similar pages into Page Types. FullStory identifies when pages rely on the same HTML template and categorizes those similar pages together. For example, you may have thousands of unique URLs for different products, articles, or other unique pages, yet all of those unique URLs could adhere to a common template. FullStory recognizes patterns in pages with similar templates and aggregates those pages together as a common type. 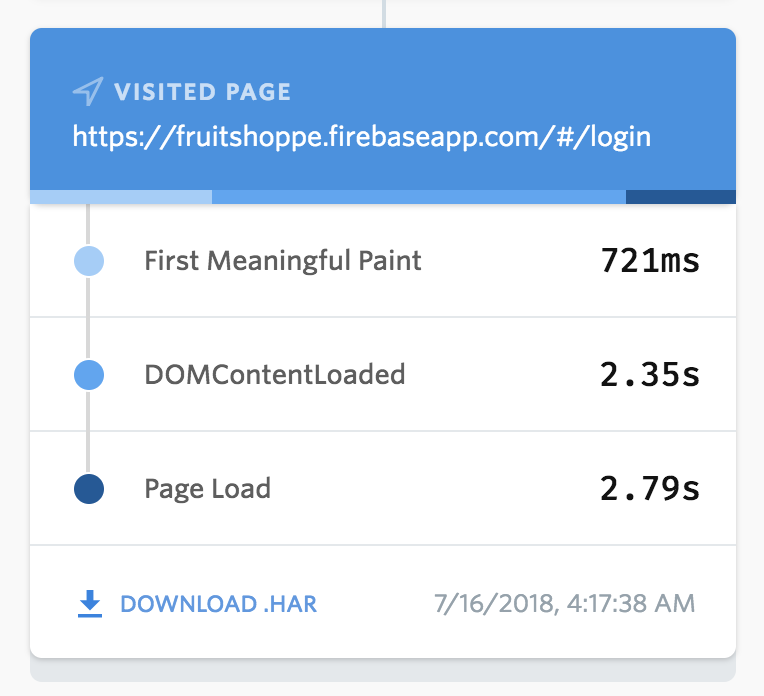 Page Types can help you quickly understand insights about similar pages, and they work seamlessly with dynamic single page applications where an app updates the URL as users navigate between different views. FullStory uses Page Types to power other features like Page Insights, and you can read more about this concept under the topic "What is a page?" in the Page Insights Guide. Looking for more debugging tools? Dev Tools play really nicely alongside the FullStory Console, a feature that's included in every edition of FullStory Pro. Learn more about the Console view. Ready to try Dev Tools? If you don't already have a FullStory account, you can sign up free to try Dev Tools today. 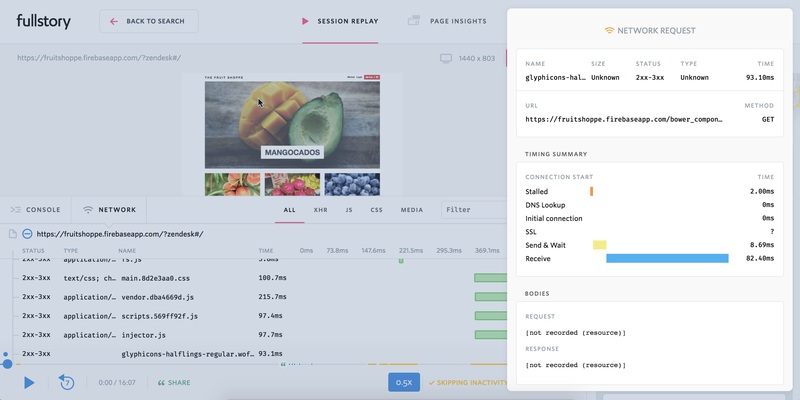 If you're a current FullStory customer on a Free or paid plan, you can request a trial of Dev Tools to see how it works with your own sessions.